As a manufacturer of fertilizer, it is sometimes necessary that we address its application on unconventional as well as conventional crops. 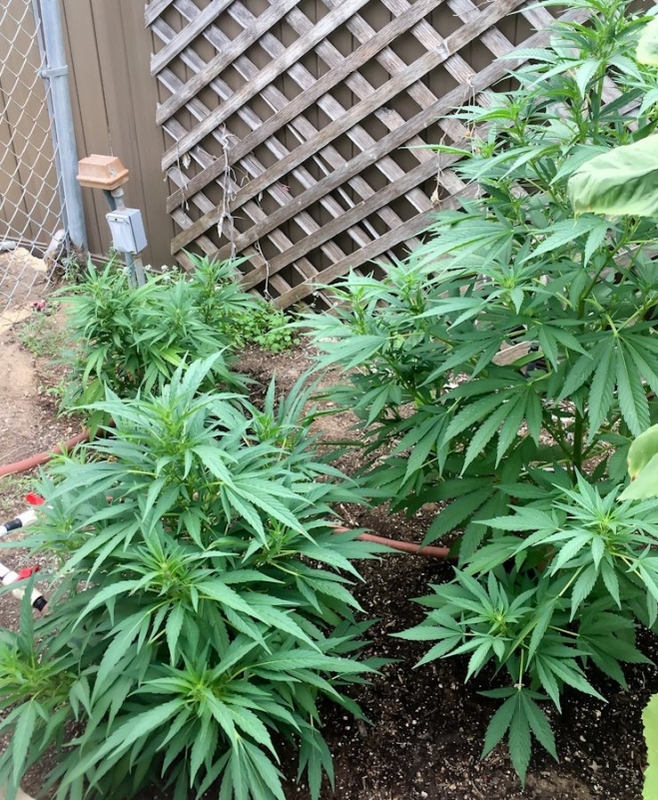 With the spread of legalization of marijuana for recreational use across the U.S. and the decriminalization of possession of small amounts of plants for personal use, it would be interesting for those backyard and tabletop pot farmers to understand the benefits of using Fish Fertilizer Concentrate and Seaweed & Fish SoilTabs to aid in growing large healthy plants. Since most recreational farmers are growing for their own use, they would want to produce plants that are free of chemicals, resistant to blight (mold, mildew) and are strong enough to resist high summer temperatures, over-watering, under-watering, bending from the wind, and attack by insects. Most people do their growing in small ceramic or plastic pots or in discreet garden areas. This article is written for you. Step 1 (before planting): Find the best potting soil available. Typically this can be something like formula 404 or 707. These are organic mixtures that incorporate some peat moss, a little sand, some guano/manure and dirt. To this, add approx. 5-10% Fish Fertilizer Concentrate by volume and thoroughly mix into the soil. This will allow the bacteria in the soil to immediately go to work on breaking down and converting the fish into its individual nutrients to feed your plant. Step 2 (add seedling): If you have a seedling or a clone with decent root growth, insert the plant into this soil mix, careful not to damage the roots. The container you use should have some small drain holes at the bottom to prevent over-watering and rotting of the roots. Remember that these are weeds and do not require a lot of water. This initial fertilizing should be sufficient for the first 4-6 weeks of growth. If your container is clear plastic, you likely will see the appearance of many roots growing around the plastic looking for more space. This is a good sign for you to either transplant them into the ground if you are fortunate to have an outside yard. If no yard is available, move them into larger clay pots. Step 3 (transplanting): Whether you are transplanting into larger pots or directly into the soil, this is now the next opportunity to add more fish to a fresh soil mixture and blend, before carefully inserting the young plant. Marijuana plants are notorious for consuming all the nutrients in the soils. Therefore, having another opportunity to add new fertilizer to the plants is important after 4-6 weeks and at the time of transplanting. You do not need to worry about burning the roots as you might from using commercial chemical-based plant fertilizers or their more convenient plant sticks. Lightly water to allow the fish to begin decomposition. With good sunlight, not too much water, and in good soil and fertilizer, these small plants should rapidly grow during their vegetative state into large bushy specimens shown below. 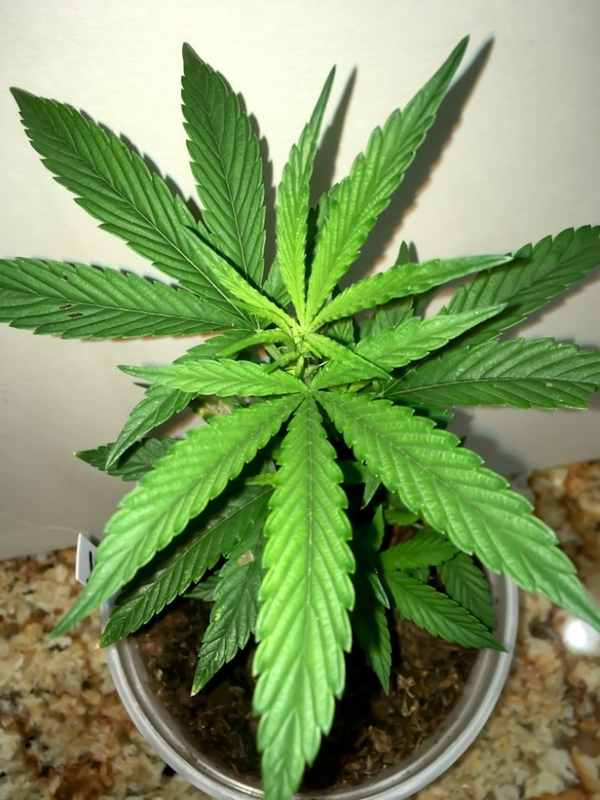 Step 4 (Flowering stage): By mid-September, when the amount of sunlight begins to diminish below 12 hours/day, these plants will enter into their final phase called the “flowering” stage. This is the point where they have reached their maximum growth and now devote their energy to producing their buds (also known as flowers). They therefore do not need the high nitrogen content found in the Fish Fertilizer Concentrate. But they do need the high phosphorus and potash found in the seaweed that is available in the Seaweed & Fish SoilTabs. This fertilizer comes in tablet form and can be pressed into the ground around the root structure of these mature plants without damaging their roots. This will take you though the final 4-6 weeks, depending upon your location, until the buds (seeds) are ready for harvest. Please note that Seagate does not operate a marijuana farm … though that might be a lot more lucrative than growing our broccoli and tomatoes. We neither promote nor discourage anyone’s personal choice for using pot or seeking the benefits of medical marijuana. We do however grow hundreds of acres of vegetables, fruits, and trees using our fish and seaweed as the only source of fertilizer. Therefore, we are a very good resource for you for unconventional farming methods.